Doll Quilt 15" x 19"
This Cross My Heart doll quilt measures approximately 15" x 19". It is a wee treasure that is sure to delight its recipient. 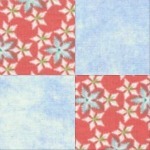 I have designed this quilt with two alternating blocks. 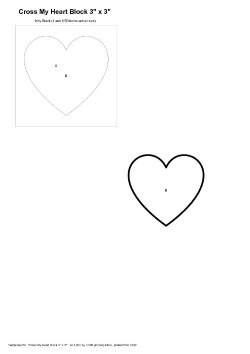 The first is a simple four patch and the second is a wee heart appliqué. Both blocks are made using the same two fabrics. 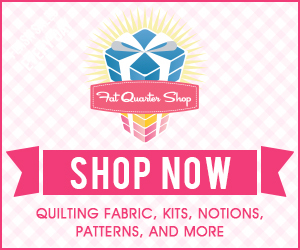 Purchasing a selection of 5 coordinating fat quarters will be perfect for this quilt or alternatively you can delve into your stash. Being such a small quilt your stash wont go down by much! 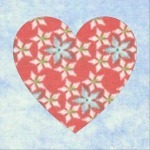 When making the 6 appliqué hearts it is best to read the manufacturers instructions for the bonding web you use. My personal preference is Steam a Seam. I also like to use an Appliqué Pressing Sheet. These are fantastic as they keep your ironing board clean as well as allowing you to place appliquéd heart centrally on the block as they are see through. 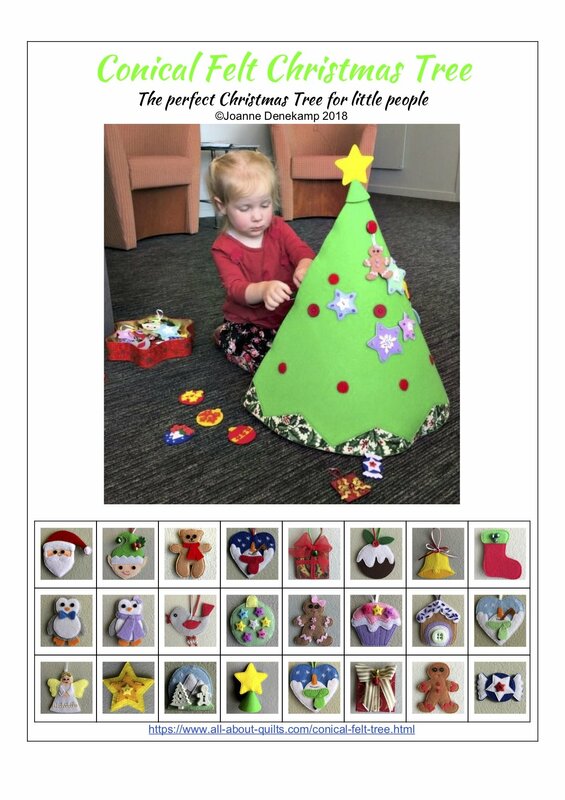 For a more detailed explanation of how to create an appliqué visit my appliqué tutorial. 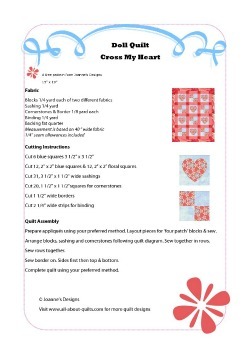 To download the PDF pattern and appliqué heart template click on the appropriate image below. My advice when making this quilt. 1. Make up your 6 appliqué blocks first. 2. To have a soft centered heart it is best to cut away the center of the hearts bonding web before you iron it onto the fabric. You will need to have 1/4" wide strip of bonding web around the edges of the heart. 2. Sew together your 6 four patch blocks. 3. 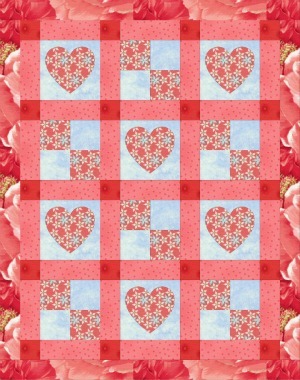 Lay out your blocks, borders & cornerstones to match the quilt on a flat surface. 4. Sew together in rows first. Then sew the rows together. 5. Sew borders on the sides first and then finish by sewing on the top and bottom borders.